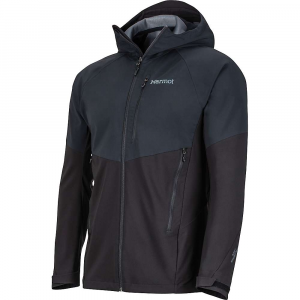 Outdoor Research Lightweight Softshell Jackets Boost Jacket - Men's-Alloy/Pewter-X-Large 250098E+12. 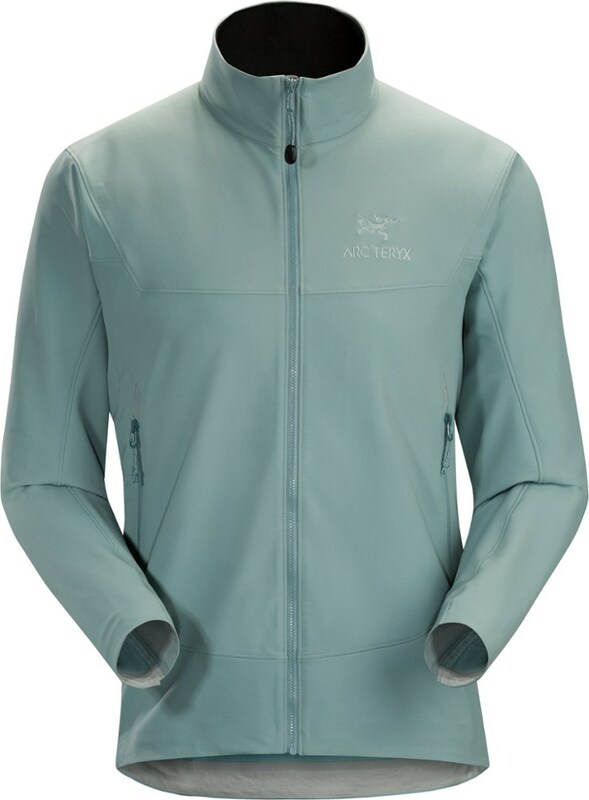 Thumb loops and finger loops keep the sleeves down and a rear pocket holds your energy gel or bar and turns into a stuff pocket when you need to de-layer. As a mere mortal, you're not impervious to Mother Nature's foul-weather ways. 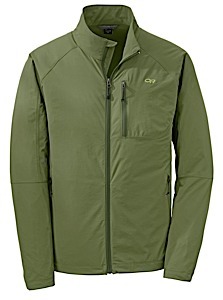 So when the going gets rough, reach for the Outdoor Research Men's Boost Jacket to protect you on your next trail run. 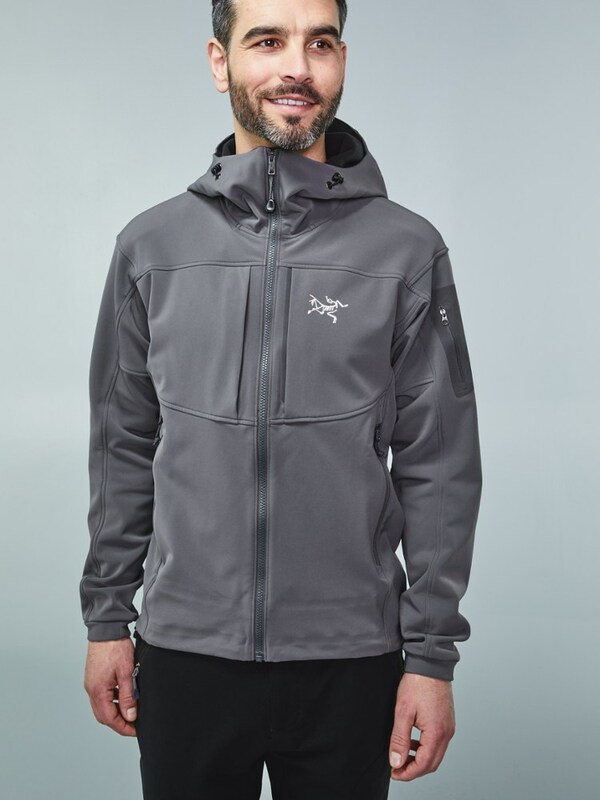 The Boost is resistant to wind and water, offering light protection in the face of inclement weather and ensuring adaptive performance both on the uphill and downhill. Meanwhile, the stretch inserts not only provide enhanced mobility, but also allow you to release body heat when you're on the move. And should the sun come out to play, the Boost can be easily stuffed and stored within the rear zippered pocket, which doubles as a stuff sack for the jacket. 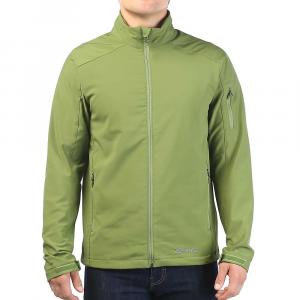 With a chill-busting nylon front and a ventilating mesh back, Outdoor Researchs Mens Boost Jacket is the ideal chilly-weather training partner. 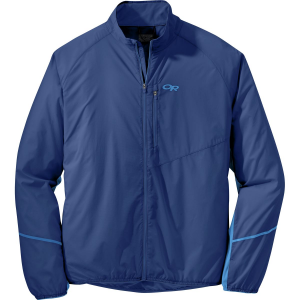 Water- and wind-resistant breathable nylon-ripstop fabric dries quickly and checks in at a mere 5.8 oz. Integrated stretch allows full range of motion so you can conquer any challenge. Soft collar prevents chafing and adds extra warmth. Stuffs inside a back pocket for compact storage and transport. Internal thumb and finger loops keep sleeves in place. Low-Pro Binding cuffs and hem seal out drafts. Zippered chest pocket and rear stash pocket let you keep energy packs close at hand so you dont conk out during long workouts. UPF rating of 30. 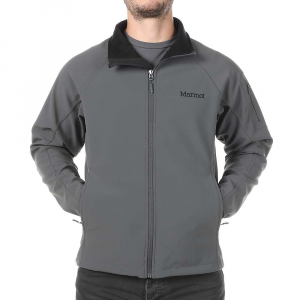 Reflective logos enhance low-light safety. Key clip. 100% nylon body with 86/14 polyester/spandex stretch panels. Imported. Center back length: 28.75. Sizes: S-2XL. Colors: Alloy/Pewter, Baltic, Jolt. Size: X-Large. Color: Baltic. Gender: Male. Age Group: Adult. Material: Polyester. Type: Jackets.